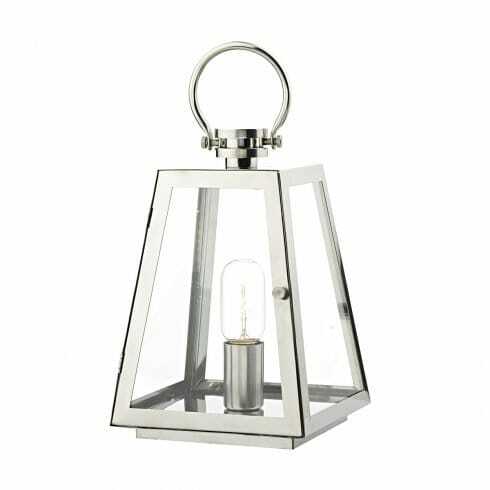 Dar Lighting Acre single light outdoor table lamp features a traditional style fisherman lantern with a stainless steel frame and clear glass panels. The product code for this Dar ceiling fitting is ACR4144. Traditional and modern designs combine to create an attractive table lamp suitable for both indoor and outdoor use and provides bright illumination for your outdoor living space. Also available in matt black finish which can be ordered on our website.